Academic Science Test Prep for Science General and AP Biology Subjects in for Port Chester, Scarsdale, White Plains NY students! 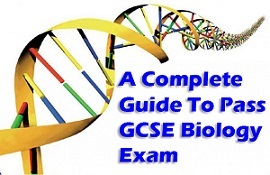 Are you or your son or daughter looking to prepare for Biology academic science subject? Then you came to the right place. Our matchmaking tutoring company specializes in helping students with High School, Middle School, and College Level academic biology subjects. Whether you are a college student or a public school pupil or an educator trying to pass your biology exam to become certified teacher for the state of NY or CT, our Academic Biology Science subject matter experts are available to tutor a variety of college and middle/high school biology science courses, including Introduction to Biology, I, II AP General and others. Our academic test prep teachers prepare students directly in their homes in academic sciences such as organic chemistry, AP and Honors chemistry, physics life science courses and any other courses your school may offer. We offer tutoring services in nearby counties such as Fairfield Connecticut. We help students achieve their maximum capacity peak in their academic careers. Our Biology Tutoring Services, cover following schools. With the help of a local biology subject matter expert, you or your son or daughter can become a better student in biology class. Professional Biology private home tutors help their clients learn tough scientific terminology through mnemonic devices, outline chapters to find key ideas, complete their homework, finish biology science projects, review labs, and prepare for tests and quizzes. We help you find reliable biology science teacher or subject matter expert, and not worry about not being able to understand your biology homework assignment or follow a tough lecture or be scared for your midterm or final exams. After all, our perfectly match made academic expert will be able to review daily work with you and help you or your son or daughter understand assigned material, all at the comfort of your own home. Prepare for your Science College Class with affordable Biology Textbook! Buy Cheap Biology books directly in NY Schools from other Students! We realize education is expensive, and do everything in our power to make education as affordable as possible especially when it comes to Biology Academic Subject. Which is why Tutoring Services, LLC is going GREEN. Helping students reuse their old textbooks and help other students save money on college biology textbooks! We created a site called UsedCollegeBooks.NET that allows students in Westchester County NY and nearby cities to simply sell their biology textbook directly to other students on campus! No middle man involved, no expensive shipping fees, no longer having to wait in line in college bookstore to sell your biology textbook! All it takes is for you to upload the book description and simply meet with the buyer once he finds your book directly on campus! Alternatively, students can buy and rent Biology Science books online from cheapest bookstores! Why spend tons of money on expensive biology books when you can simply search for one and see which one is the cheapest and buy that cheapest book for less than what it is offered at college bookstores on this site UsedCollegeBooks.net. Students can also find out how much their biology textbook is worth and sell it back online to make some money for themselves and use it for something useful! In addition to studying Biology from Books, you can also study from our collection of Biology Study Guides. In addition to studying from books, you can prepare for Biology Exam or final or certification Biology test with the self-guided test prep materials, for a list of all other study guide subjects other than biology visit here. Attention to Educators attempting to get certified as Biology Teachers in the state of CT or New York! Our company specializes in teacher test prep for all the educators who are in the process of completing their master’s degree in college or university and looking to get help in passing their Praxis 2 Teaching Certification Biology exam for the state of CT or NY NYSTCE exam. We have study guide material which we created for secondary grade level school educators, looking for tips, tricks and practice questions in passing their Biology Exam. 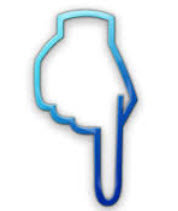 You can view all of our Biology study guides conveniently listed for you at the bottom of this page, along with the tutors in biology in nearby areas of Westchester County NY. We also have other test prep biology study guides for other teaching certification exams. When preparing for your New York or CT teaching certification exam, we encourage teachers to go through as many study guides as possible, before taking their exam. Failing Biology exam is never a good feeling, therefore why not prepare with the maximum number of study guide resources? We have local and online tutors to help you with your Biology Praxis 2 teaching certification exam. By working as independent Biology contractor for Tutoring Services, LLC our tutors get the advantage of being advertised on our social media sites and our network of nearby local tutoring sites. We also advertise tutors on subject sites such as biologytutors.net site and other county local sites. We also advertise our services in Bergen, County NJ, Fairfield and New Haven County through printed media directly in front of students and parents and can also do so in Westchester area (dependent on location). As a registered independent contractor you can upload your tutoring profile pic or video, name your own price by academic subject and grade level, declare your own discount packages, offer a trial session, and create widgets, practice questions with tutorials demonstrating your teaching effectiveness in Biology subject. Gain access to our interactive Moodle exercise platform for Biology teaching certification tests, where you can tutor other educators from, based on various study guides in the form of and combination of pre-test and post-tests, basic concepts and definitions, plus text-based study guides focusing on specific examples, strategies, tips tricks, and hints. We offer multiple tutoring jobs opportunities for Biology tutors residing in CT | NY, and NJ and often list these opportunities on our biology tutoring sister site. Our company specializes in helping NY school administrators and science department heads with finding qualified candidates for their school. We help New York school administrators with teaching job recruitment, by posting their job description on our network of local tutoring sites in the form of RSS feeds, where other teachers visit and best of all we do it for FREE! Send us to email to help you post your science teaching job ad! Alternatively, we help NY school administrators advertise their schools! Want to improve school’s student admission? Want to see whenever your school is rated? Want to post jobs near your school area? Want to target teachers in nearby areas? Then we have the platform just for that! Introducing RateMySchool.NET the site that allows students and parents rate schools, colleges, universities, and training centers as well as professors and teachers! If you are a school administrator and interested in improving your school’s exposure then we invite you to register on RateMySchool.NET! registration is free of charge for a limited time only! 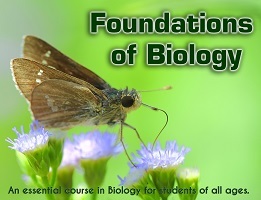 Welcome to Part I of The General Biology Course series here on Udemy. Biology is the study of life. In this course you will learn the concepts of General Biology from two complementary perspectives. First, you will gain the knowledge you need for academic and or professional development. Second, you will learn how Biology relates to day to day living. The General Biology Series will allows you to Master the principles and concepts of biology at your own pace. Learn about the hierarchy of life on Earth. Part 1 of the General Biology Series will allow you to master the foundations of Biological study. Learning the fundamentals of biology equips you with a working knowledge of how living systems survive. This basic understanding can prepare you for a future in many different professions ranging from medicine, dentistry, nursing and pharmacy to public health and epidemiology. Suitable for learners of all ages, through this course of lecture videos, PowerPoint presentations and online activities you will improve your scientific literacy in Biology. You will become knowledgeable of the major themes, concepts, and theories in biology that are regularly tested on standardized exams such as theMCAT, PCAT, and DAT. In addition, you will be able to explain how Biology relates to the foods you eat, products you use, air you breathe, and your overall health. At the end of this course, I hope that you will have the materials you need to meet your educational goals. Equally important, I also hope that this course will enhance your appreciation for the study of life on our planet. Over 12 lectures and 2.5 hours of content! Do you serve in the military and want to earn college credit? Are you a non-traditional student seeking to return to school? Maybe you're a brand new college freshman or a high school senior preparing  to start college. Perhaps you've been home-schooled or you’re an international student. The College-level Examination Program, or CLEP, was developed to help students, just like you, earn college credit for the knowledge that you have acquired outside the regular classroom. Academic credit earned through CLEP exams are accepted in over 2900 colleges and universities and can be great way to earn college credit without taking college classes. That might mean that you can graduate earlier and, best of all, SAVE MONEY on your college tuition. The education experts at Tutoring Services, LLC want to provide YOU an opportunity to learn more about earning college credit through the CLEP-Biology examination by extending to you this invitation to attend our upcoming ABSOLUTELY FREE live CLEP-Biology workshop. Our CLEP-Biology workshop is hosted by one of our expert biology instructors. And because our CLEP-Biology workshop is presented online, YOU can attend the workshop in the comfort of your home, classroom, or office. Too, because our CLEP-Biology workshop is live, YOU will be able to interact with your instructor who can answer ALL of your CLEP-Biology questions in real-time. So whether you’re a high school senior preparing for college or a student just starting your college career, a parent heading back to school, a home-schooled or international student, or a member of the armed forces, the College-level Examination Program can help you earn college credit while saving you time and, most importantly, money. 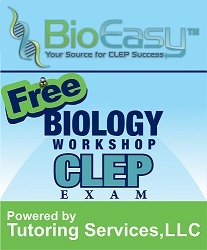 And the FREE LIVE CLEP-Biology workshop presented by the education experts at Tutoring Services, LLC is your place to start. So don’t miss our upcoming FREE LIVE CLEP-Biology workshop and take control of your CLEP-Biology preparation TODAY! Reserve your spot today. REGISTER NOW! •the importance of a healthy diet. We examine the role of carbohydrates, fats and proteins. EAR is also discussed in terms of the amount of protein recommended in a daily diet. •the different types of pathogens and the diseases that they may cause. •the structure of the eye and the functions of the main parts of the eye. Thanks for clicking on the page! Happy learning! Over 17 lectures and 1 hour of content! Do you feel time pressured for your upcoming NYSTCE test and still not sure on what tool to use that can help you pass the exam? No more worries, we’ve got solution to your problem! Try the newest New York State Teacher Certification Examination Biology (006) Reviewer for your upcoming NYSTCE Biology Test and secure your future career. Lots have been testified the benefits of reviewing with this test prep and we want you to experience the positive outcome of your exam too. Buy your own copy now and start your practice exam now. The most challenging part of the student is to jump up for their examination with an excellent score. That’s why professionals studied on how to find the easiest way to handle this challenging role for students, and they’ve come up the best study tool found from the number one website; the Studyguide.net, who create the SAT Biology Subject Test Secrets that will comfort the test takers for the preparation of the Scholastic Aptitude Test. Lots of strategy will be in your hands like practice questions that are more alike to the actual exam and because of that advantage, you could choose the answer with accuracy and worry-free feelings. Less pressure is what you will get in the exam if you buy this learning tool, the SAT Biology Subject Test Secrets. To point the colossal future in Praxis II appraisal project, test takers that may take up for their Praxis II Biology: Content Knowledge Exam should require to have the best readiness to be more get prepared in clash of the Praxis II examination. You oblige this Praxis II Biology: Content Knowledge (5235) Test Flashcard to review or familiarize the points that are for the most part like the up and coming examination. Practicing this most forward helping device with willing lead every test takers to their yearning. Points of interest are whatever you could get from this test like clear feeling, practical test technique, and the truth will get to be evident in the end be wasted continually. So get this Praxis II Biology: Content Knowledge (5235) Test Flashcard today! Be prepared for the Scholastic Aptitude Test with this coolest SAT Biology Subject Test Guide. According to the research, the Studyguide.net is one of the most in demand online support that gives resourceful ideas to excel the SAT test that students will faced later. About this best prep tool, you will no hard study at sleepless nights that leads anxiety feeling and you could avoid wasting of time creating unproductive evaluation. All you can gain from this learning guide is the enjoyable and overwhelming experience that will contribute to your successful preparation, aside from that; you will get lots of information and strategies on how to pass with it. Inform yourself the best learning tools from Studyguide.net. Seize your own copy of SAT Biology Subject Test Flashcard!